In 2013, Memorial Herman is the first health system in Houston to launch a sports medicine mobile application targeted at coaches, trainers, athletes and parents. As sports injuries are becoming more severe, the awareness of these common injuries is knowledge that is now quick and obtainable for all. Within this mobile application you will find leading sports medicine-trained orthopedic surgeons, physical therapists, bio-mechanists, exercise physiologists and sports dietitians. You may ask questions and contact the Institute to schedule an appointment, or a trainer visit. You may also learn about sports medicine and watch video tips from sports medicine experts. Use the applications directory to call or email Memorial Herman athletic trainers around the area or locate Memorial Hermann ERs, physical therapy clinics and IRONMAN Sports Medicine Institute locations near you. As emergencies happen every day, nothing can ever prepare us to handle the unexpected. A person will like to know what will arise and the steps to be taken in a matter of seconds. 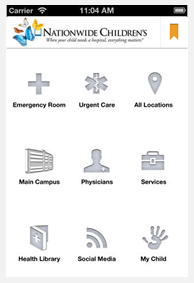 Cypress Fairbanks Medical Center now has a handy mobile application to inform us on vital information such as emergency room waiting time, finding physicians, guidance to the hospital, health and first aid references, and storing of important personal medical data. It also includes a new maternity screen which features a countdown timer feature based on your due date and helpful tips for both Mom and Dad throughout a pregnancy. 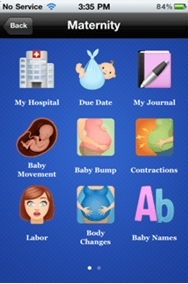 It has a graphical timeline and journal to record baby movements that can be shared via social media, email and SMS and a slide show of belly growth over time based on reference frames. Nationwide Children’s in Columbus, Ohio is a premier pediatric hospital and research institute. In 2012 they became the second largest pediatric hospital in the country and now have an easier way getting around their facilities. Their mobile application provides simple navigation throughout the hospital’s main campus as well as door to door directions to their 50 locations. Locate the nearest Urgent Care Center, Emergency Room at the hospital’s main campus, and need to know information, as well as a health library. Access a health library of an A-Z listing of critical childhood health topics, from stages of growth and development to disease and injury prevention, procedures and tests. 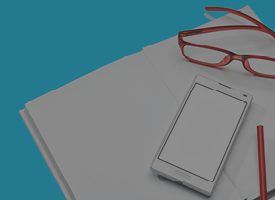 Park Plaza Hospital in Houston, Tx launched a mobile application to further connect the hospital to community members and increase access to health-related information. The application allows users to use maps and directions, a first aid guide, a health library and a physician finder to find a doctor online. 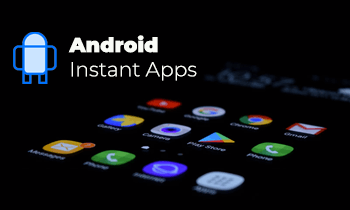 This application also allows you to launch a mobile web browser to view the hospital’s emergency room wait time in case of a serious accident. Any patient can enter and save their personal information and list their emergency contacts, insurance information, medical history, allergies, physician contacts and medications. The Texas Medical Center is the world’s largest medical center covering over 1,000 acres and has over 150,000 visitors daily. The idea of going mobile has solved one’s problem to become more familiar with the area if one has never been there before. 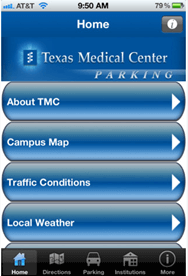 The Texas Medical Center mobile app serves as an interactive navigational and locator tool. The app provides instant driving directions to and around the campus, GPS walking directions throughout the area, available parking options that are closest to your destination, and a “find my parking space” locator. The app has easy to use maps and visuals, and the ability to search by member institution and retrieve shuttle and weather information. 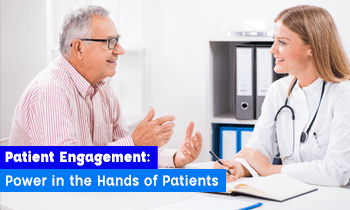 What Is Patient Engagement and Why Does It Matter in Healthcare?